Samsung’s Galaxy S line had been leading the Android Flagship segment since the launch back in 2012, the S series has reached tremendous success and has also pioneered in the mobile industry quite a bit. The Galaxy S8 which is Samsung’s 2017 flagship S series phone has been received well and is one of the best smartphones out there. The current Galaxy flagship smartphones have all the top shelf silicon, and the company isn’t suffering from any fundamental design halt or any such major paralysis that Apple has faced since the past year due to its incorporation of the same design since the last decade. Samsung, on the other hand, has been pioneering the industry with little changes but at least its trying and is successful in its efforts, the Galaxy S8/S8+ has the worlds first Quad-HD curved edge-to-edge Super AMOLED panel. And the device had close to the true bezel-less screen and thus the era of 18:9 display kicked off. Other than that it had one of the best cameras yet again this year, but there weren’t many significant changes as in 2017 we have seen the Dual-Camera setup taking off even in budget phones like the Moto G5S Plus and with the Mi A1. However, the Galaxy S8/S8+ had the same camera from the S7 edge, so this area is still left to be updated, and Samsung fans have been hoping to see a Dual-camera on the upcoming Galaxy S9. And in this post, we’ll talk about what the glorious Samsung Galaxy S9 will be like and what to expect. The Camera’s: This time there are two of them not really! Galaxy S9 Software: Less bloat and Bixby 3.0? As always Starting with the Display, because that’s where you’ll be looking at 90% of the time and the Galaxy S8 was excellent, but with the Galaxy S9, we think the next big thing should have these things to wow your eye’s once again. 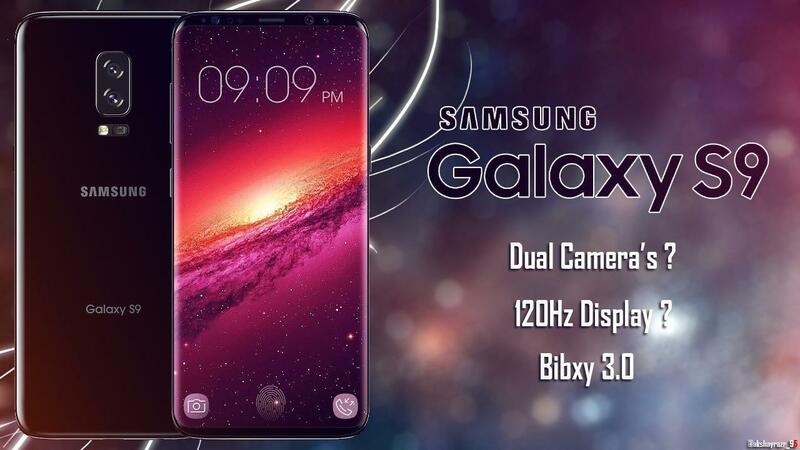 A Color accurate Super AMOLED display could make its way in the Galaxy S9 as the iPhone X has a Samsung made OLED panel which is reported by Displaymate to be quite accurate has top-notch brightness. So, we think Samsung will try to pull an accurate display with the Galaxy S9 but if you as ask me the highly saturated colors on the current OLED panels are just wholly a treat to look. 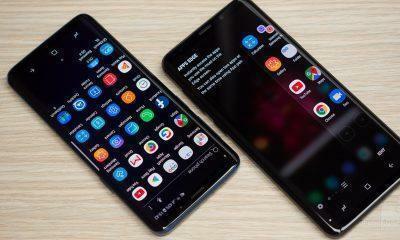 Now let’s come to the more juicy stuff, Samsung should continue 110% make the display run on 120Hz, that’s 120FPS just like the latest Razer phones does, this will ultimately eliminate any gossips related to Samsung’sTouchWiz which has been referred to as “Lagwiz” since the last couple of years. But the company has toned it down a little bit from its previous days. However, its been also said that AMOLED displays aren’t up to the point that they run on 120Hz! What do you think about this let us know below? You can see in the above image; a dual camera setup is in plans and the fingerprint scanner now houses at a much reachable position than before. And the sides of these rear panel are also a little more curved at the edges. While this image represents the front of the Galaxy S9 and looks like we’re getting close to the full-bezel less display reality, as the top and bottom bezels are almost non-existent. And we’re glad that there isn’t any weird annoying notch present here. Moreover, the edges seem like more curved this time, and we can still see a dedicated button, which is probably for Bixby 3.0. 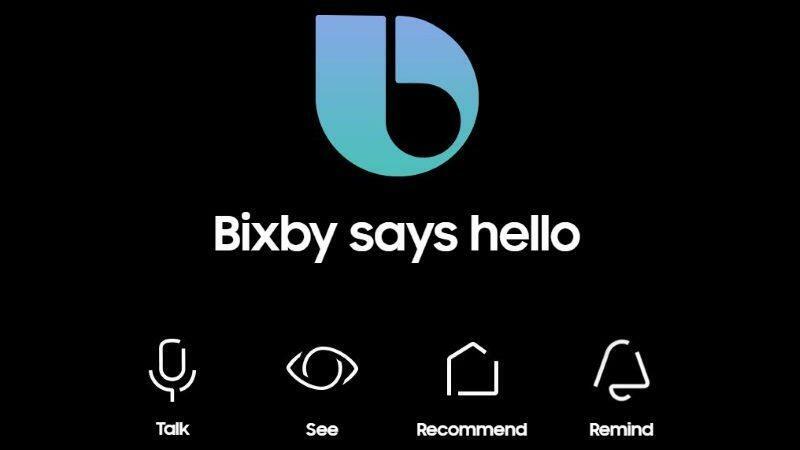 It looks like Samsung isn’t done pushing Bixby, as the company had a hard time convincing people to use its voice assistant rather than Google’s great voice assistant. As always the Samsung Galaxy S9 will come in two variants of CPU choices, one from the house of Qualcomm while the other chip will be built in-house, that’s the Exynos processor, which isn’t available worldwide. 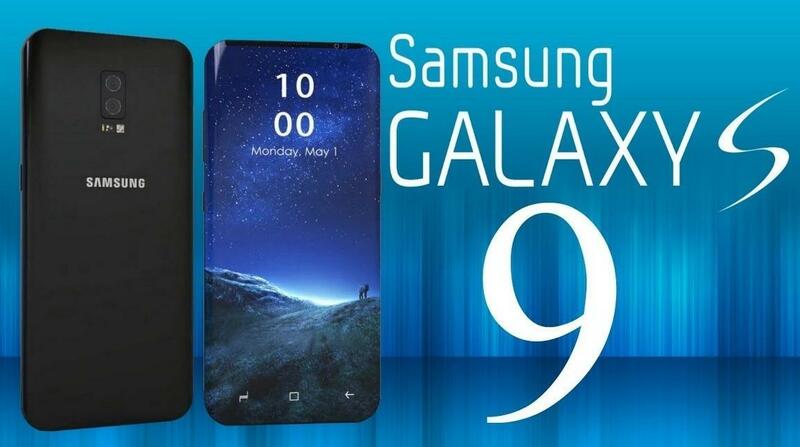 Interestingly, some benchmarks have been leaked today implying that its none other than the Galaxy S9. The Geekbench score with model number as SM-G960F scores a Single Core score of just 2680 points which is far-far away from its main competitor the iPhone X, but much better than the Pixel 2’s 1685 points. BTW, the device is paired with 4GB of RAM. On the multi-core side where Samsung pulls ahead, but this time the A11 bionic also crushed it, with Samsung scoring a respectable 7787 points and the iPhone X scores 10050. And the chip listed for the Samsung’s benchmark is an Exynos 9810 processor. Let’s see how much of a big dent Snapdragon 845 variant does, and speaking of Snapdragon 645, the first batch of the 845 will be only delivered to Samsung only, just like how the 835 had an exclusivity for the S8 for a few months. Same thing will happen this time. The Galaxy S9 will undoubtedly come with two camera’s, and we wish both should have OIS just like the Galaxy Note 8. Now, let’s talk about what configuration they will come in. However, now with a new update coming from none other than evan blass, suggests that the regular/standard model will not get the Dual-Shooters, and will feature only a single camera. Furthermore, another report emerged online suggests that Samsung will use a special BABR coating on its lense just like DSLRs to reduce reflections and ghosting effects. 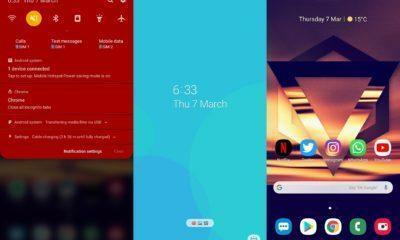 The Galaxy S9 will come with Android Oreo 8.0 out of the box with Samsung Experience 9 running on top of it and with every little software gimmick you can think of, is stuffed in it. Like we said earlier a 120Hz panel would make a significant difference on how TouchWiz works on that gorgeous curved 18:9 display. New reports coming in as ET news claims that Samsung will try to implement an S-faceID competitor, and Samsung is thinking to pull this off by using an enhanced version of Iris Scanning. The company has quite an experience with Iris scanning technologies since its Galaxy Note 5 days. The technology back then was in its first generation, and the South-Korean giant now had many years to perfect it, and make it as reliable as the faceID or maybe even better. However, there won’t be any new hardware enhancements. You’ll be getting regular security updates and the company this year outstandingly delivered and had the Pixel line on ropes when it came to software patches. And you should also expect Bixby AI 3.0 on the Galaxy S9 as we saw that dedicated button is still present. However, at this moment we don’t have anything special regarding what new software tricks the Galaxy S9 will have up its selves. Don’t Samsung has a new system implemented in its battery testing department so, it’s alright now. Talking about the capacity, we won’t see a major jump in numbers, rather than it’s more of a fast charging era. And the Samsung Galaxy S9 will 110% feature the Qualcomm Quick Charge 4 plus, which charges extremely fast but ensuring your phones more relaxed and doesn’t dissipate dangerous amounts of heat. Battery capacity could receive a slight bump but won’t pass the 4000mAh mark. As far as the Pricing is concerned the Galaxy S9 base variant should retail for $799 while the top could cost as high as $899. But within a couple of months, you should be able to find one for $699 or so, and the device is also expected to come out much earlier than before probably might get announced at MWC 2018 (Feb 26th, 2018). 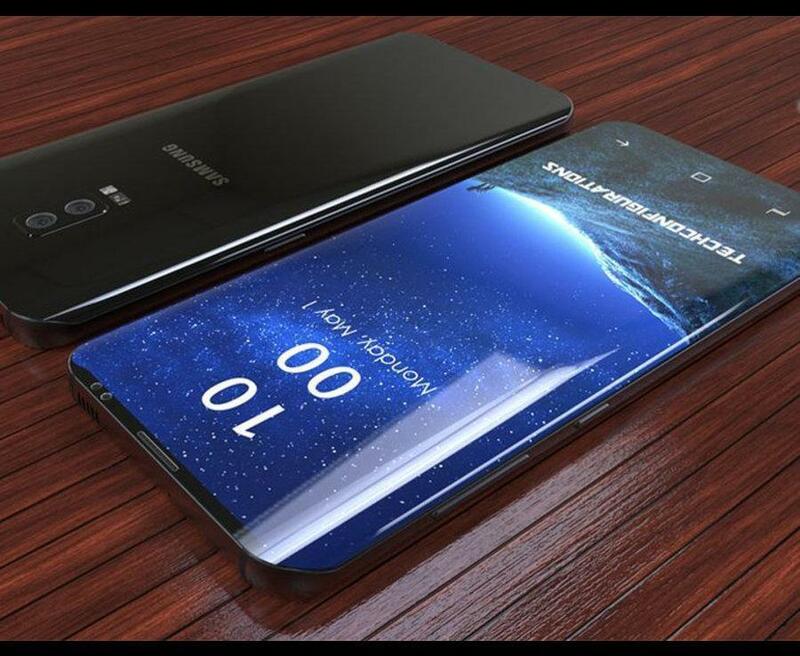 Update: New rumors coming in and hints at Samsung will show-off their next big thing, much earlier than expected that is the new Galaxies will be shown on CES(Consumer Electronic Show) which takes places in JANUARY 2018 in Las Vegas. And there will be still a special launch event for the devices other than the CES event, probably at MWC or a special event. We’ll keep you updated on everything new about Galaxy S9 as it’s just the beginning of its leaks and rumors and what to expect from it.